The season 2014 -15 opened optimisticly for Myrό Gallery of Contemporary Art, as an old collector purchasing art from the Gallery and the Myrό Antiques House for many years showed up bargaining the whole exhibition of Haris Mitroussis works. 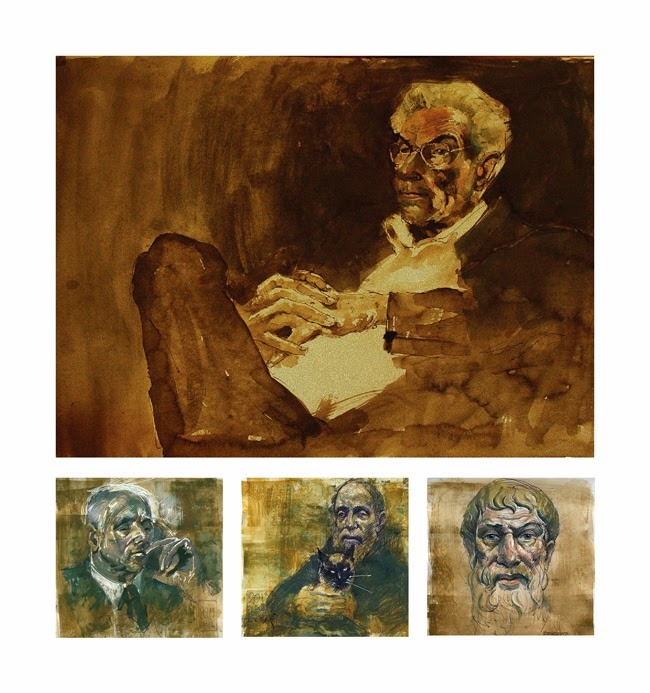 The House is accommodating another show of the mid-career Greek painter Haris Mitroussis magnificent drawings, together with oil paintings, bundled with an electronic auction via its brand new international platform MyroAuctions. Haris Mitroussis is a greek painter born in the albanian city of Veration in 1962. Both his parents were greek exiles in Albania, his mother a philologist and his father a calligrapher. The French Enlightment period had a great impact to him as a child, and, although he demonstrated an artistic spirit since childhood and excellent performance at school, he was not given the right to study in the university because of the political beliefs of his parents who were spotted as contrary to the totalitarian regime of Albanian Communism. Despite the difficulties he managed to study next to Sotir Chapo and Agron Bregou, professors of Art and significant albanian painters, and sculpture with the greek sculptor Dimitri Bouda. Leaving Albania in the 80s, he got to Florence and then Greece where he completed his studies in sketching and painting, showing his works in multiple exhibitions in Greece, Italy and France from 1991 and on.